All shows are held at Plano Dance Theatre Black Box Theater in Allen, TX (see map below) at 604 W Bethany Dr, # 200, Allen, Texas, TX 75013. The Black Box Theater holds 80 people in an intimate setting with professional sound and lighting. 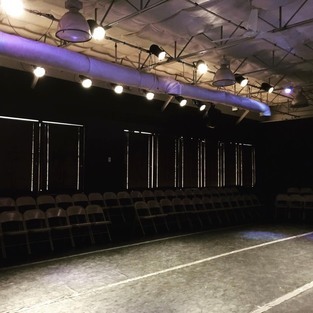 The black box theater is located inside the Plano Dance Theatre studios. It is located on the second level of the store-front shopping center. There are stairs and an elevator on the west side of the building. You can park in the back, front or sides of the store-front shopping center.